If I want to play live dealer casino games how do I go about it? Simply find a casino offering live dealer games and follow their instructions to access their live dealers. This will either involve having to download the casino’s software and registering an account, or opening their browser based games and registering an account. Most casinos require you to open a real account before you can access their live dealer games, but this doesn’t mean you have to bet straight away. Join a table and just sit in a watch the action for a while to get the hang of things before playing for real. Which is the best casino to play at? This will depend on your playing preferences. What game you wish to play; what currency you wish to play in; what language you require; what deposit option you prefer; whether you want to download the casino software or play from your browser etc. Our live dealer casinos page might be a useful starting point with a summary of casino profiles and account options. As a minimum though, make sure you play at a casino that is licensed and regulated and whose games are conducted by a well known and respected software provider. Any online casino worth its salt will include an about us link which should display all of these details. Where possible, choose a brand that you are familiar with such as one of the large betting shops that have made the transition online. Are the casinos listed on this site licensed and regulated? Most of the casinos included on this site are licensed and regulated by one of the principle online gambling jurisdictions licensing jurisdictions…Gibraltar, Malta, the United Kingdom, the Isle of Man or Antigua Barbuda. Exceptions to this are casinos/platforms based in Costa Rica, including those accepting custom from American players. As an additional probity measure, most engage independent parties to audit their historical payout ratios to attest to fair gaming and randomness of their games (including live games). Although this is not as relevant to their live dealer games where there is no issue of fairness of random number generated outcomes it does say something for the casino’s operating ethos. For a more detailed discussion of licensing jurisdictions and relevant industry organizations, visit our industry organizations page. Where does the live dealer vision come from - is a reputable organization managing probity requirements? Most casinos offering live dealer games outsource the conduct and management of the games to a third party provider. In this case all aspects of the live deal, from video streaming to premises security, dealer and card management are controlled by the service provider. Both Playtech and Microgaming, two of the bigger players in RNG (random number generator) casino game software development offer their licensee casinos a live dealer format which they manage. This video offers a nice insight into the live dealer environment implemented by Microgaming. Both Microgaming and Playtech are publicly traded companies who have been operating for over a decade now. Another provider gaining significant traction in the live dealer space is Evolution Gaming who now count BetVictor, Ladbokes, William Hill, 888, Unibet, Party Gaming, Paf, Betsson and Grosvenor among its growing list of blue chip gaming clients. Unlike Microgaming and Playtech, Evolution are not a provider of RNG casino software and concentrate specifically on live casino game streaming technologies. Their studios are located in Latvia and they are regulated by the Alderney Gambling Control Commission. Super Casino is a notable exceptions to the above ‘norm’. They conduct all live games in-house, controlling their own dealer rooms and video feed from their central London based television studios. Their dealer room environment and controls are regulated by the UK Gambling Commission. To find out exactly where all the major live deal studios are located, visit our studio locations page. Have live dealer casino games been around for long? While RNG casinos have been operating for over a decade now (Intercasino and 888 both claim to be the first bet takers in 1996) live dealer casino games are relatively new, with Playtech launching its live dealer platform in 2003. Limitations in streaming technology and user connection speed have until reasonably recently rendered live streaming non-viable. There are over 2000 online casinos operating today, and only a handful offer live dealer games. At the risk of generalizing, it is probably fair to say that it is a game format that has been adopted by the larger online gambling operators as it is still a niche offering that carries a significantly higher marginal cost to provide than additional RNG games. If you look at the list of casinos offering this format you will probably recognize quite a few of the brands if you have any familiarity with the gambling industry. For a more detailed analysis of the history of live casino gaming visit our live dealer industry development timeline. Game range on offer at most casinos is limited in most cases to one or more of blackjack, baccarat, roulette and/or sic bo and no where near as expansive as the list of RNG casino games offered by most casinos. Check our live dealer casinos page for details on what games are offered at which casinos. Typically no. While almost all online casinos will offer free play options for their RNG games, in order to access the live dealer games you will need to open a real player account. That doesn’t mean you have to start betting money straight away though. We suggest you open a real money account and then sit in on a game for a while to get a feel for how it all works and familiarize yourself with the betting interface before playing for real. If you don’t like the way the interface works or are annoyed by any aspect of the offering close your account and try another casino. There are no restrictions on how long you can view the live dealer action without actually laying a bet. There are exceptions to the no-free-play norm. See our Free Play Live Casinos page for details. How fast/slow is the game. Will I have plenty of time to lay my bets? If there was one universal complaint about live dealer games, it was the length of time between deals. The past tense is used deliberately here because the major platforms offer such table variety that game play speeds is no longer a major issue. If you do like a fast game, then being stuck on a 7 seat live blackjack table with all seats occupied can be a painful experience. Imagine 30 seconds or so to place bets, then each player getting 15 seconds or so for each of their hit/stand decisions (and many take the full time allocation). Of course this issue is limited to live blackjack only. Major providers and studios have largely solved this problem by having large private areas with an enormous range of 7 seat table tables. VIP players are rarely subjected to slow play with a large range of high limit tables to choose from that are rarely full and often empty. Now there are also tables that players can open and play to the exclusion of all others. Play speed was never really an issue on the “1 to many” games like baccarat and roulette. Nevertheless, in a push to cater to every players’ wants, speed roulette and speed baccarat tables make sure the impatient players are catered to. Is the vision clear and smooth? Can I see the cards being dealt? Regardless of the sophistication of the video streaming and compression technologies underlying live dealer games, at the end of the day the vision will only be as good as the user’s internet connection. If you do not have a reasonably high speed connection the web cast will not be smooth. Even with a high speed cable connection you may see the odd freeze frame. If you are on a dial up connection forget it. The vision provided by the different casinos varies considerably in terms of resolution and continuity. To view recorded video demos of most games offer by casino listed on this site, visit our video demos page. The cards used in all cases are oversized cards that are clearly visible over the stream. Microgaming’s cards are enormous and very hard to miss. Regardless of card size, all dealt cards are swiped over a reader so that the software can identify them and that card is recorded and presented clearly on the playing interface anyway so viewing the actual card, while nice to be able to do for piece of mind, doesn’t effect your ability to play the game. You place bets from a ‘virtual’ account that you open at the casino and fund using one of a number of options. Credit cards are the most common deposit method, but there are a number of others that are available at each casino, including well known virtual wallet services like Neteller, Instadebit, Click2Pay and UseMyWallet. We have listed deposit methods currently accepted at casinos listed on this site at our casino deposit / withdrawal options page. Similarly, withdrawals from your account may be made to your credit card, your chosen virtual wallet service or by check or bank draft. The casinos will clearly display their deposit and withdrawal options and assist you where you run into difficulties. Do the casinos offer tech and general support? Most casinos listed on this site provide 24/7 support including phone (toll free numbers for some countries) email and live chat. Typically, the bigger the brand the more complete their support service. 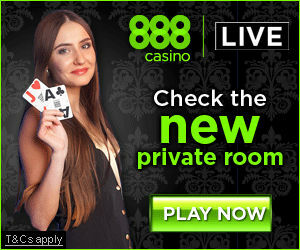 Do I have to download the casino’s software in order to play their live dealer games? This depends on the casino. For some casinos, their live dealer games may only be accessed via the software downloaded games. Others offer browser based Flash live dealer games so as long as you have the Adobe Flash plug-in installed on your browser you can play the live games directly from your browser without any download required. All details of which casinos require a download and which do not may be found at our live dealer casinos page.